PhotoshopSunday is a show I created on March 7, 2010. 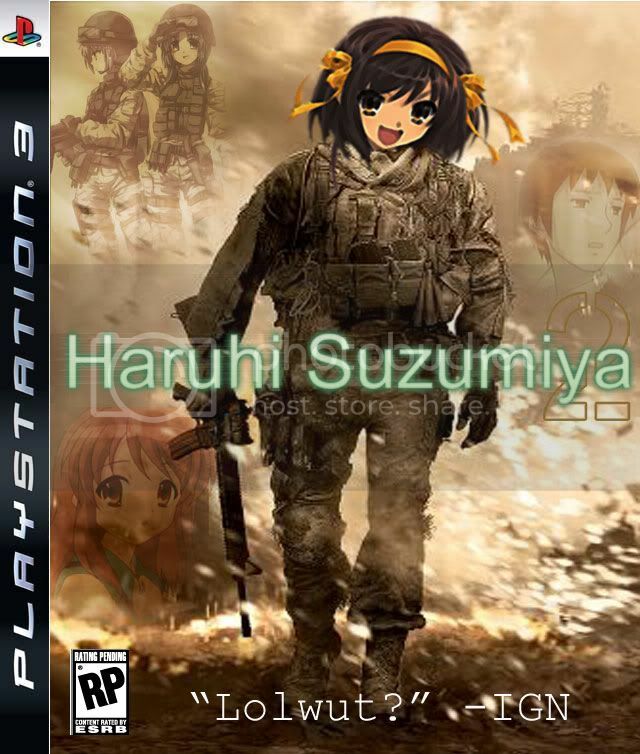 That Sunday, I made a photoshop of Haruhi Suzumiya + Modern Warfare 2 poster due to boredom. Since I have no Real Life Activities™ on that day, I really have nothing to do so here I am making this show. So here's the basic summary: people suggest poster I should make of two animes or anime + something else combined together in this thread and I select the best one, possibly the best two and I photoshop it on Sunday. I put "Idea by ______" at the bottom of it. Everything will be collected in this thread. I'm not VERY experienced at Photoshop, but I'm hoping to get better at it with this show. Note: If there are no requests one week, I'll use the ones from previous weeks! Hoping for you to join me soon! PhotoshopSunday: Photoshop for The Fans! Last edited by dragonnewby; 03-08-2010 at 08:36 PM. Cinderfall was the best thing ever. If you could play it, you would love it. Last edited by Cameron; 03-07-2010 at 11:44 PM. 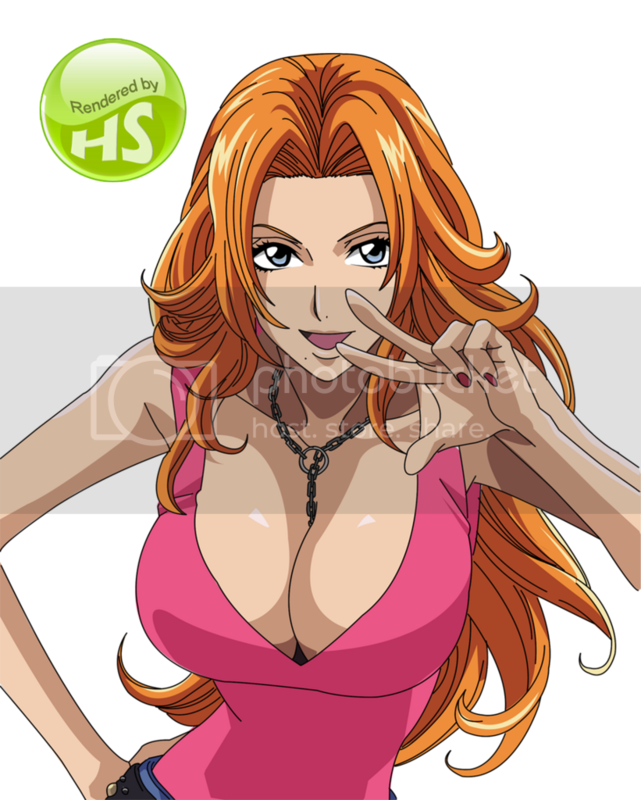 Title in the photoshop: "The Breast of Both Worlds"
I must find Newby Dragon, some thing else to make for me now. Thanks, it didn't take too long to make the text and background. Can I put it in the OP(I'll mention your name of course)? I thought it was just a simple request and create topic, for everyone. Haha.